The Power of Great Teachers! Working in a 1:1 District and having my own children that attend the same district gives me the unique opportunity to celebrate when teachers have incorporated authentic and natural integration of technology in a meaningful way through education. Last week, our family sat down to watch the opening ceremony of the 2018 Olympics. My children were amazed with what what they saw. Their excitement was partly due to what they had been learning in school. My first grader came home telling me all about bobsledding and the rules of skeleton. I looked at him in shock as I said, “Where did you learn that?” At school, of course was his answer. All week he had been studying and reading online and in print all about the Olympics. Additionally, my third grader had been doing the same thing. 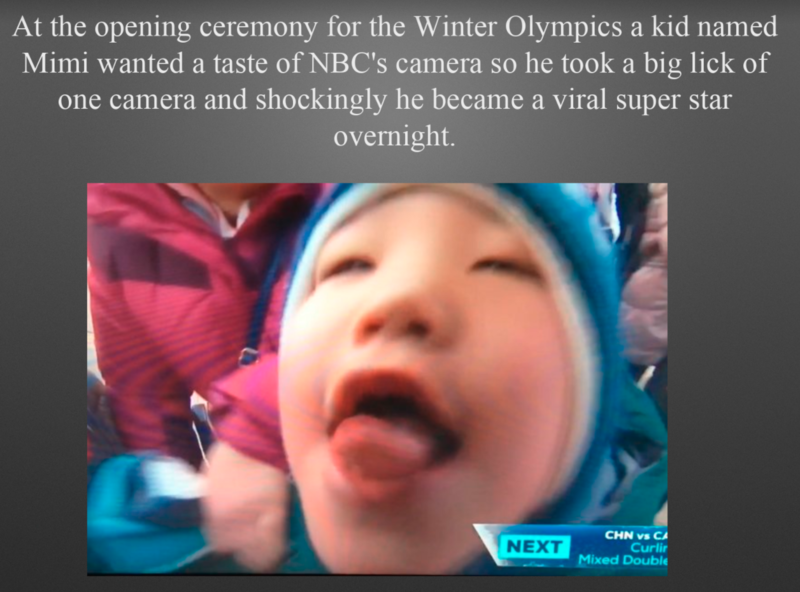 Of course learning about the Olympics was great, but that wasn’t what really impressed me. As we sat watching the Olympics, my daughter sat on her iPad. I asked her to put it away and watch the Olympics with us (I figured she was watching KidsTube), but I was pleasantly surprised when she told me that she was creating a presentation for her class about the Olympics. 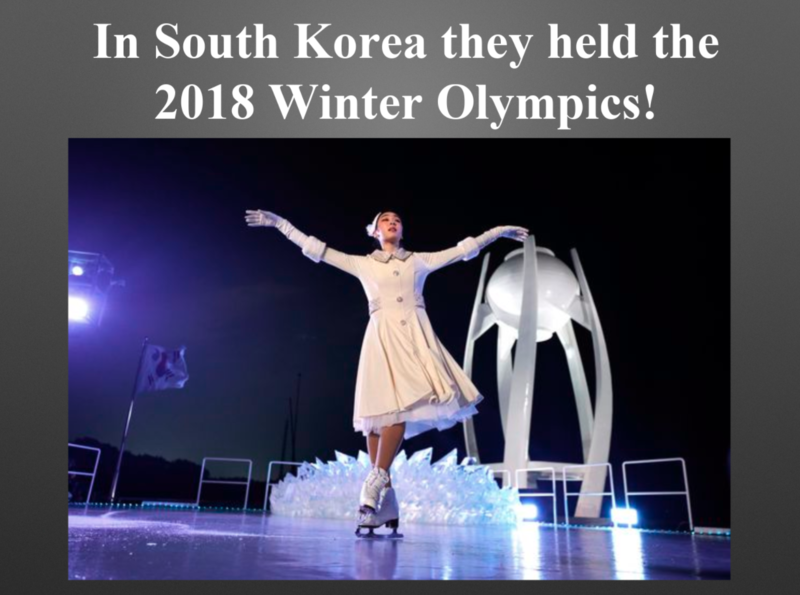 I knew this was something she was capable of, but when she was creating a presentation as the Olympics played on in the background, I was a proud mommy and delighted at what my child had been taught by her teacher. She also didn’t stop there. She immediately shared the presentation with us and also emailed her teach that Friday night to ask her if she could present it to the class. With delight, she presented that Monday as the introduction to a unit about the Olympics. What this example showed me, was that what my daughter is learning in her classroom, is #NOWClassrooms approved. She took interest in a topic, learned how to research, created a Powerpoint presentation, learned new information and presented it to her class. Her sense of pride was huge and her excitement to present what she created was genuine. This is what we hope will happen in all classrooms across America. The ability to create and share learning with peers. The ability to deepen knowledge of a subject and share it with others. When students are taught how to use technology in a meaningful way, that is what they will do, both at home and at school, and hopefully in their future as a contributing member of society. I am so thrilled that my children have teachers that uphold all the NOWClassroom ideals. I feel lucky! Keep up the good work teachers! This fantastic blog post by Andy Losik has been bothering me all week because it made me think deeply about my work with schools, and the real work that is ahead of all of us in edtech! This report by the company Go Guardian has me really worried about the use of Chromebooks in the classroom but I don’t think this problem is limited to Chromebooks I think IF we could look at data across all student devices I think these trends would continue. I’m right there ranting with you Andy especially when you hit a very sore spot of mine about creativity when you said “Zero sites for creativity are listed in the study. We know fewer kids are getting to create with Keynote, iMovie, and GarageBand due to device choice, but it doesn’t look like they’re getting many chances to use any of the Chrome-based alternatives to these apps either. No Soundtrap. No Canva. No WeVideo. No Pixlr. No Emaze. Again, I agree with Andy and the school board president, we have a ton of work to do in the world of edtech. 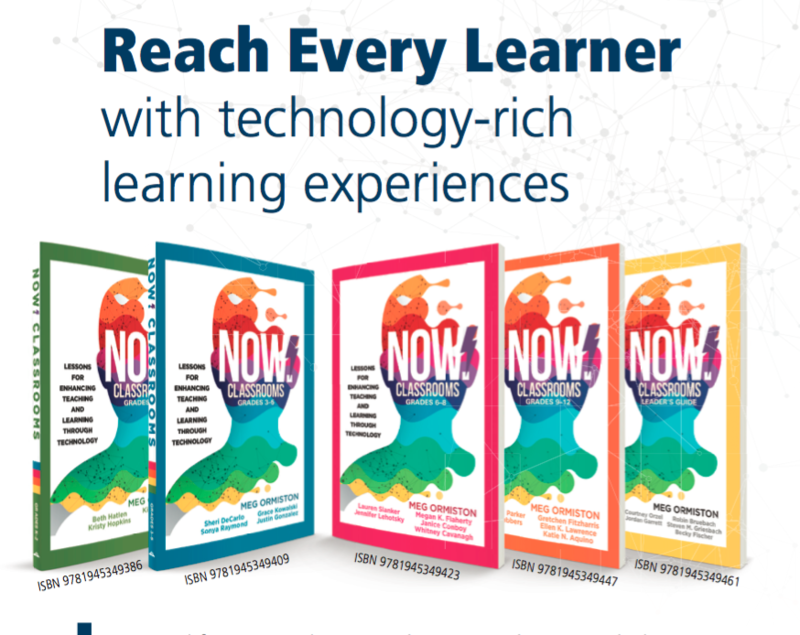 When our team of 27 co-authors was writing our #NOWclassrooms series of books I had to constantly remind them of the real current reality in schools where technology devices are being used for low-level tasks and often just to keep kids busy. I know my co-authors did not believe me during the writing and editing process, BUT that is because I picked some of the greatest teachers to join my NOW team. These teachers are not the ones on Cool Math Games or “drilling and killing” using digital worksheets. Instead, their students are creating, building, and sharing their work beyond the walls of the classroom. 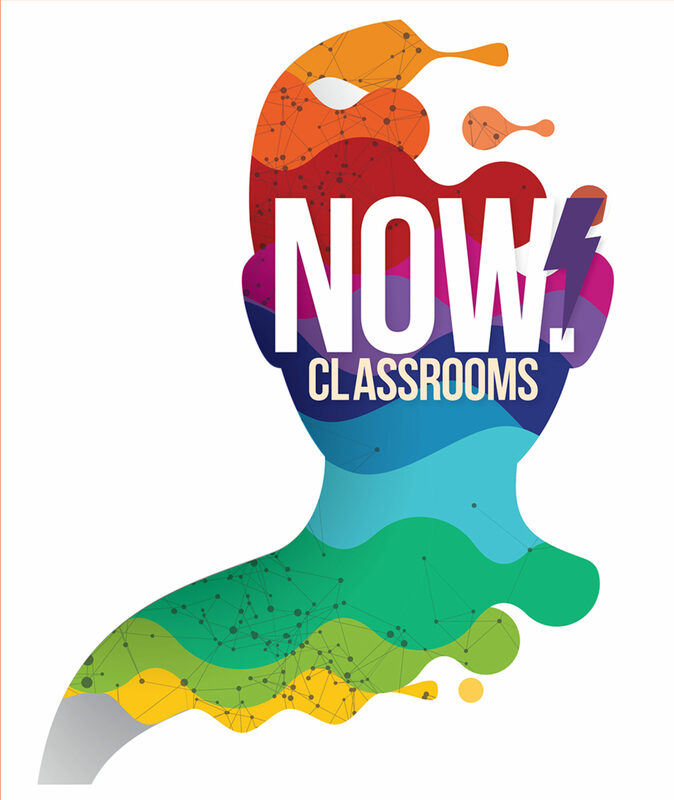 Check out our #NOWclassrooms Twitter feed to see their student artifacts. Our series of five books are based on the ISTE standards and a big focus is on the 4C’s of communicating, collaborating, creating, and critical thinking as students use the digital tools to demonstrate their learning and as I like to say “get it out the door”. One thing each of our team did is we did not focus on specific devices, we wrote the lessons for teachers regardless of the devices they have. Use the technology you have for higher level thinking, problem-solving, group work to solve real-world problems. Andy your rants have inspired me to keep working on the shift to create, build, and share student products with whatever device you have. I know it is possible because my dynamic team wrote five books about what IS possible using technology in the classroom. Help us get the word out there!